Maximum Performance for every application is brought out from its High Power and High quality. 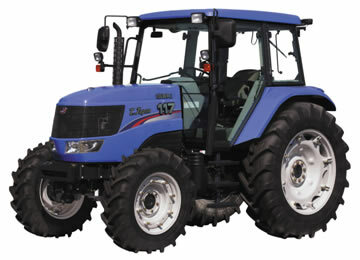 With its advanced technology and superior comfort, ISEKI TJW117 is the best tractor to meet your requirement of high productivity. TJW117 is equipped with Perkins TIER III engine. 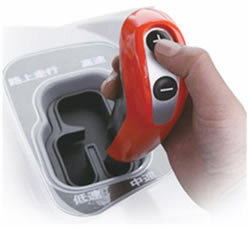 Engine speed can be synchronized automatically when shifting and decreased automatically while U-turning. TJW117 is equipped with evolutional AT Shift as standard. It offers easy and comfortable operation and is not troublesome for operator to work with any implements and conditions. 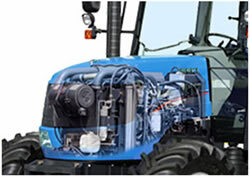 By Throttle Control Shifting, TJW tractors can be driven like a car with automatic transmission. Electric Governor & Electric Control Clutching operation makes No Clutching Shock and brings out smooth feeling even at shifting. By Shift Select Memory, the transmission memorizes suitable shift for the field. By Auto 4WD, 4WD is connected or disconnected depending on road conditions and implements. ISEKI cockpit system adopt universal design for easier use. The levers and switches are located right side in order to emphasize the operation. Newly designed comfortable and wide cabin reduces operator's fatigue even long time working. The engine is not only powerful, but also clean and quiet for environment and Noise level is under 75 db(A). The muffler is located on just ahead on the right pillar for wide and clear view. TJW117 has 3.9 tons lift capacity as standard. 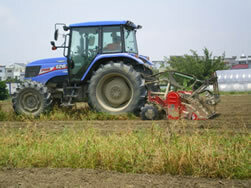 Such powerful lift capacity enable the tractor to be installed heavy implements. Also, 2 auxiliary hydraulic valves (4 valves maximum) are useful for variety kind of implements.